Individually the six bridges that form this walkway may not catch the eye. However even though structurally different, through uniform language they cleverly work as one. 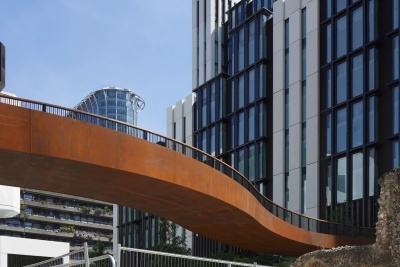 The weathered steel gives a warmth, which combined with the different structural forms, creates an urban landscape that works with the surroundings to produce lovely public spaces above and below.